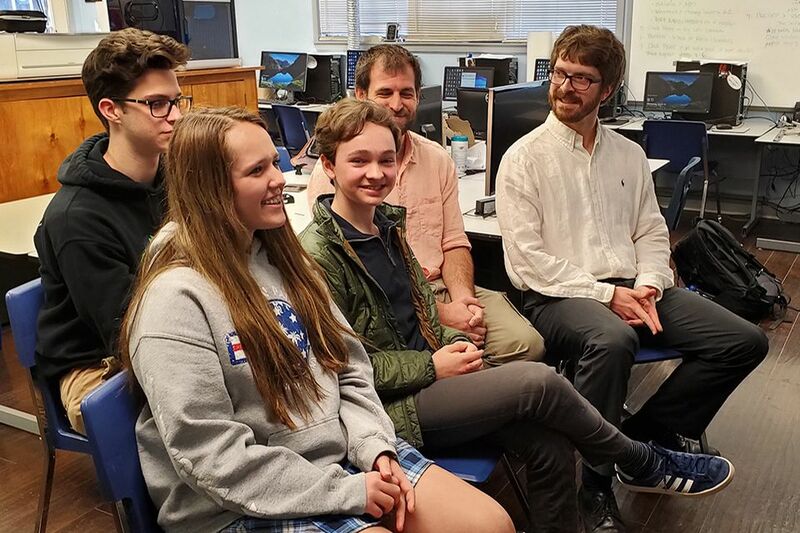 Science teachers Bullard Jones and Daniel Gould and Class of 2022 members Gracie Cline, Matt Gary, and Ian Faul Skyped with two representatives of a Japanese public television network to discuss the physics cardboard boat project. The Japanese tv producer saw the video about the boat project created by ExLabs student Riley Hulin, '20, and requested the interview. The video, which can be viewed on ESA's Vimeo channel, will be shared on the network, along with information from the interview.